The objective of this addictive Match 3 game is to combine 3 or more same-colored fireworks to make them grow. When they are big enough, they will explode and grow every piece of firework of the same color! To earn extra points, try to explode 10 fireworks in a row to unleash the power of the dragon. Can you complete all 30 levels and achieve a high score? 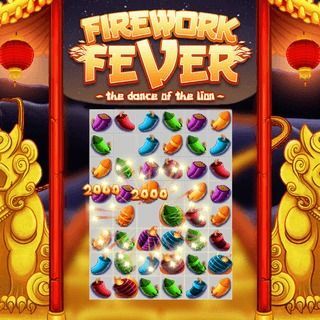 Firework Fever - Find Firework Fever in our vast HTML5 games catalogue. Only the best and newest HTML5 games for all audiences. Guaranteed success with Famobi.